Spring training for baseball fans. The return of Monday Night Football for football fans. And there is no better indication that the long winter is soon to be over for racing fans than Speedweeks at Daytona. And what better start could there be to the season and to Speedweeks than to make a 24-hour run in the world's most exotic sports cars. Enter the Rolex 24 Hours of Daytona. For 40 years this annual thrash around the clock has put the ultimate test to man and machine, it has launched careers, crowned careers, and solidified car brands in the minds of fans around the world. 74 cars. 2,548.96 miles covered (roughly the distance from Daytona to Los Angeles). 716 laps. Twice around the clock. This is pure punishment for the crews, drivers and equipment, but absolute heaven for sports car fans! 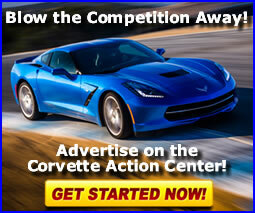 And for Corvette fans, the race is becoming a renewed source of pride in our beloved brand. Last year the Corvette C5R, not only won the GTS class, but also took the coveted overall win as well. Further in 2001 Winston Cup legend Dale Earnhardt teamed with his son Dale Jr., drive a sister Corvette C5R in an electrifying race and they finished fourth overall. Sadly, as the whole world knows less than two weeks later, The Intimidator would die in a crash on the last lap of the Daytona 500. The racing world has not been quite the same since. While I do not know the official reasons for the factory cars not returning to defend their titles, I can only speculate that they had succeeded in everything they set out to do last year. Overall win at the Rolex. Class victory at the 24 Hours of Le Mans. Manufacturing title in the American Le Mans Series. Whatever the reason, be not discouraged, the Corvette crossed flags would be carried in this race, and be carried to victory thanks to hometown Daytona-based Flis Motorsports, winners of the American GT class in their #9 Corvette C5. More on this fantastic victory later. Actually a total of seven Corvette C5 AGT entries took the green flag this year. If you are any kind of fan of sports cars or any kind of racing, you absolutely owe it to yourself to go to this affordable, fan-friendly and exciting event. Besides, Florida in February is not so bad all by itself. The very essence of a 24-hour race is different that just about any form of motorsport on the planet. An entire racing season is compressed into one enormous run. Some drivers will get more seat time in this one event than they might get in an entire year of other racing. Further, the diversity of equipment and drivers is extremely wide. And this year's Rolex 24 featured some of the biggest names in the sport; Max Papis (CART), Tony Stewart (NASCAR WC), Scott Sharp (IRL, Trans Am), Kevin Harvick (NASCAR WC & BGN), Robby Gordon (CART, NASCAR WC), Scott Pruett (CART, NASCAR WC, Sports Car), Kyle Petty (NASCAR WC), Paul Gentilozzi (Trans Am), Guy Smith (Le Mans Rookie of the Year), and the list goes on. Plus as far as manufacturers, just about every credible sports car is here: Corvette, Ferrari, Porsche, BMW, Jaguar, Camaro, Mustang, and Viper. Also as background, it is important to understand the different classes of cars that compete together on the same track at the same time, not only going for the overall victory, but also for class victories. This is the premier class of very exotic technology, and they bear little resemblance to a production car. Formula One derived engines and chassis technology very often shows up in this class of car. This year we were treated to a screaming V-12 Ferrari 333SP, twisting at over 15,000 rpm, and a Dallara Judd V-10 also shattering ear drums at over 15,000 rpm! These cars are very similar in concept to the SRP cars, but are smaller in their overall dimensions and have greater restriction in their engine sizes. They are also more affordable. These larger grand touring cars are "real" racecars, but must be based on a road-going sports car. This class is very fast despite their production heritage, and captured overall victory at the Rolex in 2000 and 2001. The Corvette C5R that won in 2001 was a GTS car. These cars might have as much as 700 horsepower! These are American muscle cars and the class includes Corvettes, Camaros, and Mustangs, and have to be powered by good, old-fashioned American engines up to 375 cubic inches of displacement. While these cars have the same horsepower as a GTS car, about 650, they do not have the aerodynamic package, and are slightly heavier, so they do not achieve the same acceleration or top speed, but are still incredibly fast racecars. These cars are very close to a production car, but must be supplied by a factory as a racecar. This class really showcases the performance of their road-going cousins, because of how similar the cars really are to production. Because of the reliability associated with it being close to a street machine, these cars very often will place high up in the finishing order of a 24-hour race. This year a GT car finished 7th overall out of almost 80 entries, and ahead of a lot of exotic machinery. I had not traveled the airlines since September 11. So I was not sure what to expect, but a trip earlier in the week to New York City revealed that in many ways, just like the attitude of the country, air travel is better.